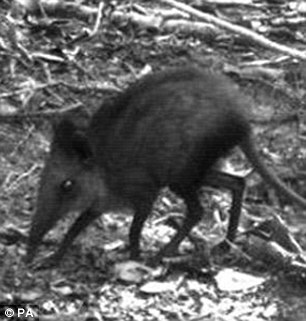 A giant elephant shrew caught on camera in a remote African forest may be a new species, scientists said today. The bizarre mammal, which has a long, flexible, trunk-like nose, was discovered in the Boni-Dodori forest in north-eastern Kenya. 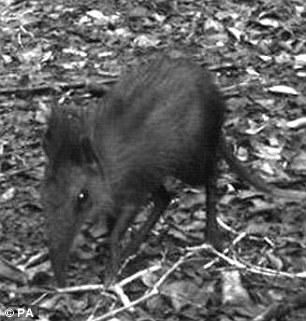 Camera traps were set up in the remote forest after Grace Wambui, a fellow of the Zoological Society of London’s (ZSL) Edge of Existence programme which is examining the wildlife of the area, spotted an elusive elephant-shrew she did not recognise. There are currently only 17 known species of elephant shrew, or giant sengi, which are found in Africa and which are more closely related to elephants than shrews. But scientists believe this find could be a new species. ZSL senior field conservation biologist Dr Rajan Amin said the picture of the elephant-shrew was an important discovery. ‘The whole team was very excited to capture pictures of this mammal,’ Dr Amin said. 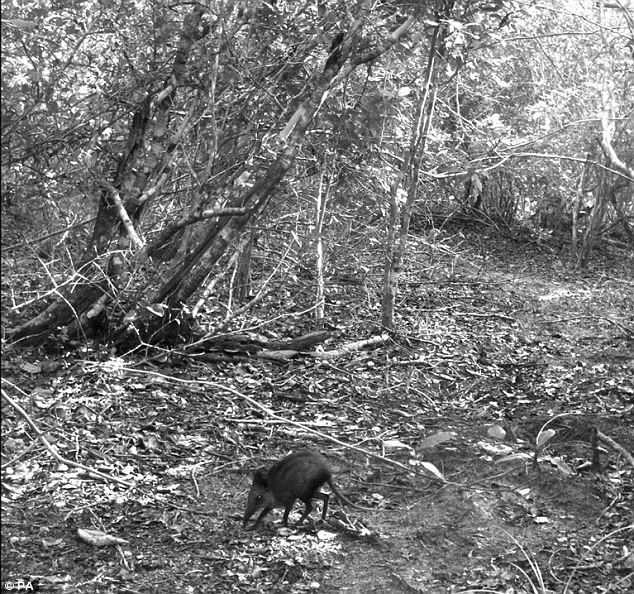 ‘We will continue our work to document the forest’s rich biodiversity and to determine if this is a new species of elephant-shrew. ‘Prior to our study, the biodiversity of the Boni-Dodori forests was poorly understood as a result of limited access due to security problems and poor infrastructure. ‘This discovery has underlined the conservation significance of these isolated forests.